Good nutrition helps your body heal itself, from your bones to your cartilage, even your muscles. Some of the nutrients essential to your spine health include, calcium; magnesium; vitamins D3, K2, C, and B12; and iron. These nutrients promote your spine’s daily healing from wear and tear, and are especially crucial following spinal surgery to assist in your recovery. 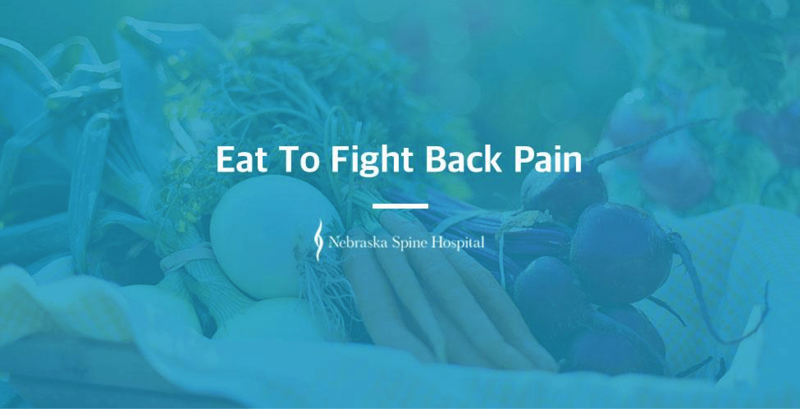 But did you know that what you choose to eat can also help you fight back pain? Well, it’s true! Vitamin C is essential to your body’s healing process because it’s needed to create new collagen. What’s collagen? It’s a protein that can be found in your spinal discs. New collagen is required to repair the cartilage and connective tissues that make up your spinal discs. Vitamin A is another vitamin that’s vital to the body’s healing process. Following a spinal injury, your body needs to create new cartilage cells. Vitamin A helps to promote cartilage cell development, meaning it actually helps your spinal discs heal. Omega-3 Fatty Acids can also fight back pain by helping to control the level of inflammation in your body. When a spinal disc is injured, it causes inflammation that can irritate the surrounding tissues. By consuming the recommended daily amount of Omega-3 Fatty Acids, you might be able to manage the discomfort caused by the inflammation. Consuming enough of the proper nutrients is essential to your overall health, including your spine health. While it may help you to fight back pain, it may not prove effective alone. If you are suffering from back pain, we urge you to seek professional medical attention.